I am so happy I found your site today! I am now 41 and I believe I have been struggling with systemic candida pretty much all my life. Now that I think about it, I can remember that I started feeling "off" at about nine or ten and at that time as well started to gain weight. I have always been bloated and battled with weight gain but my main concern over really the last 10 years or so has been a skin rash that was diagnosed as Tinea Versacolor and lethargy, severe muscle, joint, skin inflammation. It feels very Rhumatic even though I have not and do not ever plan to be diagnosed with any type of those diseases:-). The candida was addressed as a problem last February when I went to see a Nutritional Response Testing practitioner. The method tunes into the nervous system through muscle testing. Yeasts came up as the biggest concerns for my body and we began to treat them. I have taken Enzymatic supplements as well as BioCommand Fungdx as well as some other supportive supplements. However....nothing I have done has eliminated it completely and I have done a lot. I have done a 30 day juice cleanse (with green detoxifying veggies not fruity concoctions), changed my diet and eliminated refined sugar, wheat, and dairy - even trying to adopt the paleo perspective. All have helped tremendously, especially being on the cleanse for 30 days but nothing I have done has eliminated it from my body and it has always come back, sometimes worse than before. I am intrigued by the information on your site and the dietary cleanse and the Dr. Natura clease that you recommend. I am planning on investing in some pH strips to check my current pH levels and researching the stricter diet protocol that you mention. Given the information that I have shared with you do you have any insight as to if this would be a good plan to put into action or would you recommend another avenue to take? symptoms. Is raw ACV still good to take on a candida cleanse? I know that just like lemon they are acids that help alkalinity. I do believe that everything can be healed and that our problems start in the mind before we develop physical ailments. I know I can get a handle on it and eliminated the physical cause from my body by helping to nurture and support it. It sounds like you are doing all the right things to kill the candida, but you should be improving after all of this. The problem with a long-term systemic candida infection is the hormonal and nutrient imbalances it creates. Most likely there are other issues that are keeping you from improving. The Tinea Versicolor sounds like the symptom of a bigger problem. Common reasons for this condition are low levels of skin-supporting nutrients (vitamins A, B12, C, D, E, minerals like zinc, selenium, magnesium, and iodine) which result in a weakened immune system. You need to support your immune system as well as fight off the yeast. Make sure you make doing both a priority. If your internal environment doesn’t improve when you wipe out some of the candida, it will make it very easy for the yeast to reestablish. How is your digestion? Have you checked your vitamin D levels? What about B12? Tried the zinc taste test or the vitamin C flush? I would also HIGHLY recommend buying organic coconut oil. You can take it internally to kill the candida plus topically to kill the fungus on your skin. It is powerful though, so be sure to back off if you start feeling candida die-off symptoms that are too strong. The raw apple cider vinegar is fine to continue. It has the “mother” which has many health benefits. Watch out with the honey though. Sugar is sugar as far as yeast are concerned, and they will feed off of it. Join in and write your own page! It's easy to do. How? Simply click here to return to Candida Albicans Questions. 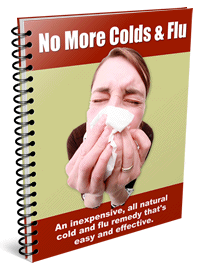 No More Colds & Flu. I promise to use it only to send you Healthy Naturally. I have spent a lot of time on your site, and I am very impressed by the excellent and invaluable info to be found here. This is some of the very best health info on the net, and you have made it easy to understand. Thank you so much for all the time and effort you have put into this. I love your web site. Thank you for such wonderful information. I will be signing up for your newsletter as well. I contacted you several months ago about candida and you helped me immensely. Your site and news letter add tremendous value to individuals like myself. I had been struggling to find cure for my health problems for last few years without any success. Your site is the best help and now at least I know which directions to go. I absolutely LOVE your site, the info you offer and the service you give by educating people about natural health.